Through this promotion, write or mention the Code OUTREACH36. This code gives the purchaser $2 off each ticket purchased. Can an impersonator find his own voice? At 68, Pepe (Pinoy rock legend Pepe Smith delivering a raw performance) has dedicated his life to impersonating legendary Filipino rock star Joey Smith. Straddling the line between reality and imagination while sinking deeper into old age, he must undertake a journey of self-discovery to free himself from the shadow of his hero and become his own man. Only then can he be free to write the song of his career. As leader of the world’s only LGBT political party, Bemz Benedito dreams of being the first transgender woman in the Philippine Congress. But in a predominantly Catholic nation, rallying for LGBT representation is not an easy feat. Bemz and her team of queer political warriors must rethink traditional campaign strategies. Culminating on election day, OUT RUN looks into the challenges LGBT people face as they transition into the mainstream and fight for dignity, legitimacy, and acceptance across the globe. Ford, a surfing instructor from the Philippines, has been told his whole life that he’s the son of Francis Ford Coppola and that he was conceived during the on-location filming of APOCALYPSE NOW. He has wasted his youth waiting as his mother petitions the director to acknowledge Ford as his son. As the surfing season ends, Ford is forced to confront his past actions, inactions, and the stories of his life. There is a common notion that the Tagalog/Filipino language is nonsexist because it has generic nouns and pronouns. But upon closer inspection, instances of sexism are present in Filipino and are perpetuated consciously or unconsciously. The sexual stereotypes and patriarchal values reflected in some of these words may be outmoded, but their definitions are still maintained in the dictionary. In this lecture, Pia Arboleda discusses her study of words and definitions from three major dictionaries: Vicassan Pilipino-English Dictionary (1978) , Diksyunaryo ng Wikang Filipino (1989) and UP Diksiyonaryong Filipino (2001). She will also provide recommendations for language advocacy and nonsexist usage of Filipino. The presentation will be in English. Recipient of the 2015 Regents’ Medal for Excellence in Teaching, Pia Arboleda is Associate Professor and Coordinator of the UHM Filipino and Philippine Literature program. As part of her integrated approach to teaching, research and materials development, she produces multi-media bilingual animated films on Philippine folklore. One of her major accomplishments is the translation and subtitling of the 13-part film series on Noli Me Tangere based on the literary masterpiece by Jose Rizal, as well as Philippine films that are now used for classroom teaching. The flyer is attached. For inquiries about this lecture, please contact Ms. Thang Nguyen atcseaspr@hawaii.edu. Some might call him colorful, others, dangerous. Since the election of Rodrigo Duterte last May, the Philippine relationship with the US and with its own people has been changing. He has launched his own war on drugs and drug addicts, and told President Obama to clean up his own backyard. 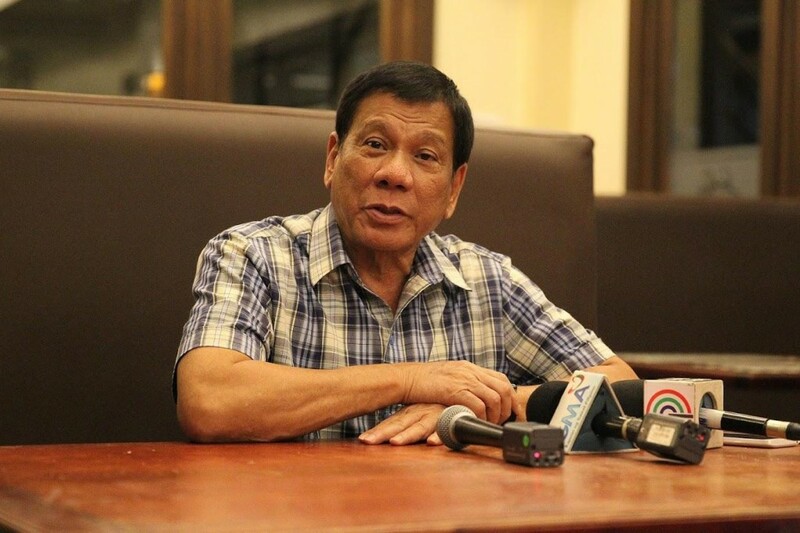 Rodrigo Duterte has also said he wants an end to m joint military operations with the US. But is this hyperbole and bluster or something more. Patricio Abinales is Professor of Asian Studies at the School of Pacific and Asian Studies, and the Director of UH Center for Philippine Studies.